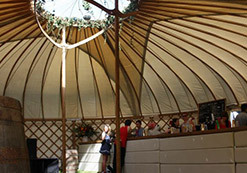 We view our bars as in integral part of the event in the same way we view ourselves as an integral part of the event production team. We believe that our flexible, experienced approach makes us easy to work with pre-event, on site and post-event. 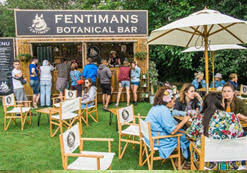 Our bars are tailored to each event, making sure that the products, the staff and the service environments work perfectly with your event demographic. The Really Good Bar Company also has plenty of experience managing brand activated and sponsored bars which helps to ensure that sponsors' expectations are met and that we deliver high quality bar experiences inline with brand guidelines. We believe in full transparency in our working methods knowing that open communications and clearly defined budgets and processes give optimal results for sustainable and long term working relationships. 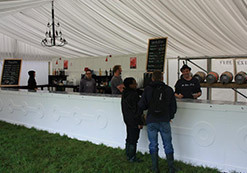 The Really Good Bar Company designs, builds and manages all types of festival bars. This giving you the full scope to plan and delivery your festival how you want, with no restriction on what is possible and achievable at the bar.